Ready to Return to TURKEY ? Ashur Yousif is Dead but He Speaks! And If You were the Turkish Prime Minister? The ongoing escapades of the “Kurdistan” Regional Government (KRG) under the auspices of Massoud Barzani aimed at terrorizing the Assyrians in their ancestral homeland have become lucid signs of ethno-cultural genocide perpetuated against Iraq’s indigenous people. A flagrant example is the recent destruction of the Assyrian heritage site of Khinnis, located approximately 50 km northeast of the ancient Assyrian capital, Nineveh. The site was built around 690 BC by King Sennacherib. The canal is resplendent with wall reliefs and cuneiform inscriptions of ancient Assyrian kings decorating the cliff side . The site is of particular importance since it is home to some of the most ancient artifacts remaining in Iraq belonging to the ancient ancestors of the indigenous Assyrians people. 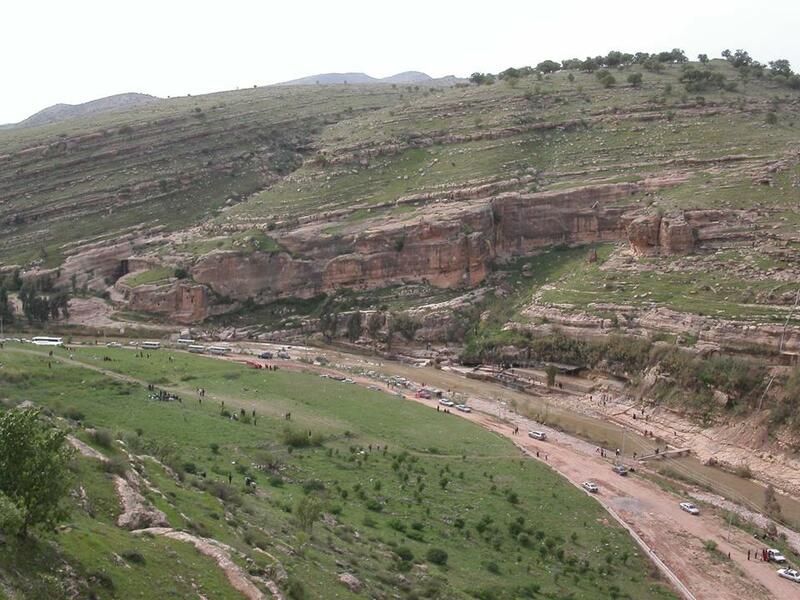 In an attempt to provide shade for Kurdish picnic goers, the KRG has hired a contractor to detonate the ancient cliff site to accommodate the demands of the local Kurds in an effort to boost tourism in the area. This reckless act is one of many attempts of the KRG at eliminating the indigenous Assyrian presence from their ancient homeland, implementing continuous efforts of cultural genocide. A recent trip by members of the Chicago-based Assyrian Academic Society (AAS) and the Washington-based Iraq Sustainable Democracy Project (ISDP) found the ancient Assyrian site in utter obliteration. 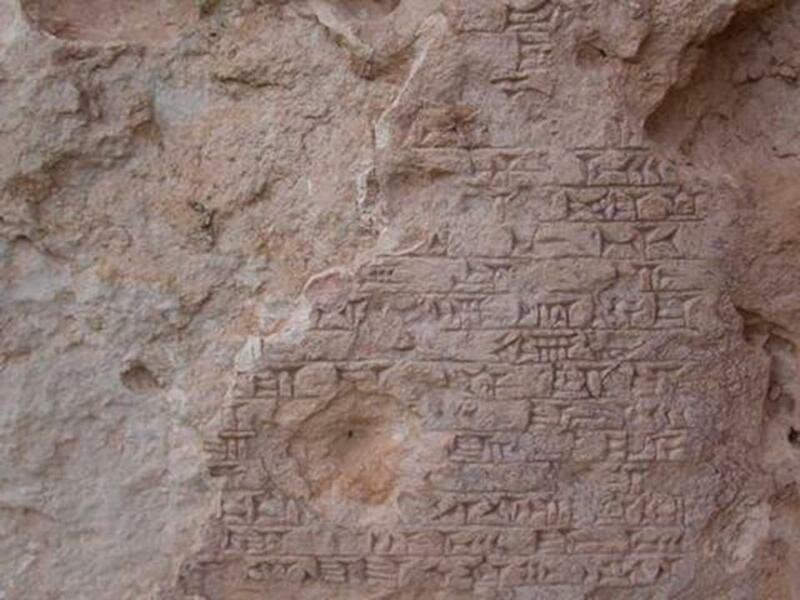 The state of preservation of Khinnis has gone from bad to worse due to the shenanigans of local Kurds and the continued neglect by the “Kurdistan” Regional Government in safeguarding Iraq’s ancient Assyrian heritage sites. 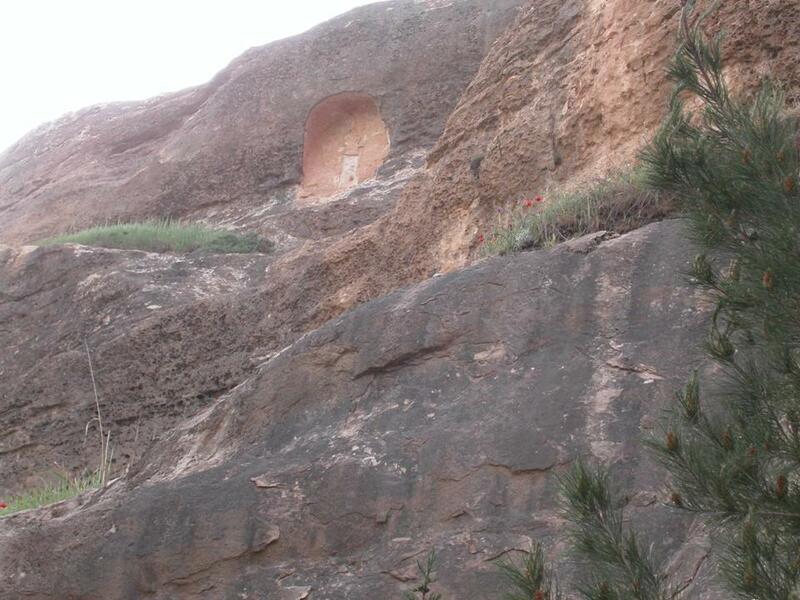 Below is a selection of photographs that illustrate the destruction and neglect of the Khinnis site, taken during the recent trip by members of the Assyrian Academic Society and the Iraq Sustainable Democracy Project in April of 2006. 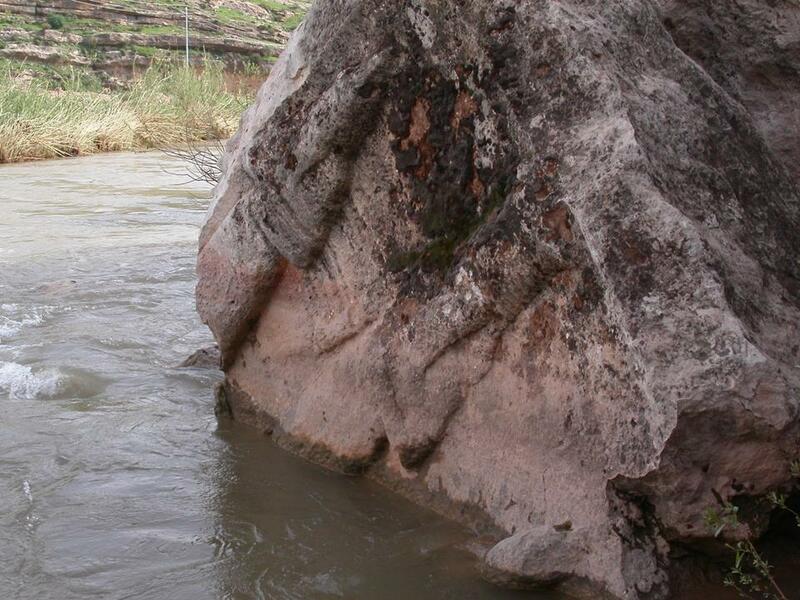 Picture of an ancient Assyrian wall relief outlining royal figures fallen into the river bank due to careless dynamiting. ©Assyrian Academic Society, April 2006. An image of the famous Assyrian lamassu or winged bull dynamited and left in a state of deterioration from years of neglect and recent target practice by Kurdish militia (notice the bullet holes in the relief). ©Assyrian Academic Society, April 2006. Assyrian wall relief at Khinnis. When examined closely, the figures of ancient Assyrian royalty can be seen. ©Assyrian Academic Society, April 2006. An image of where a wall relief once stood, bullet holes can be seen from constant methodical destruction as a result of the site being used for target practice by Kurdish militia who now comprise the “Kurdistan” Regional Government. ©Assyrian Academic Society, April 2006. 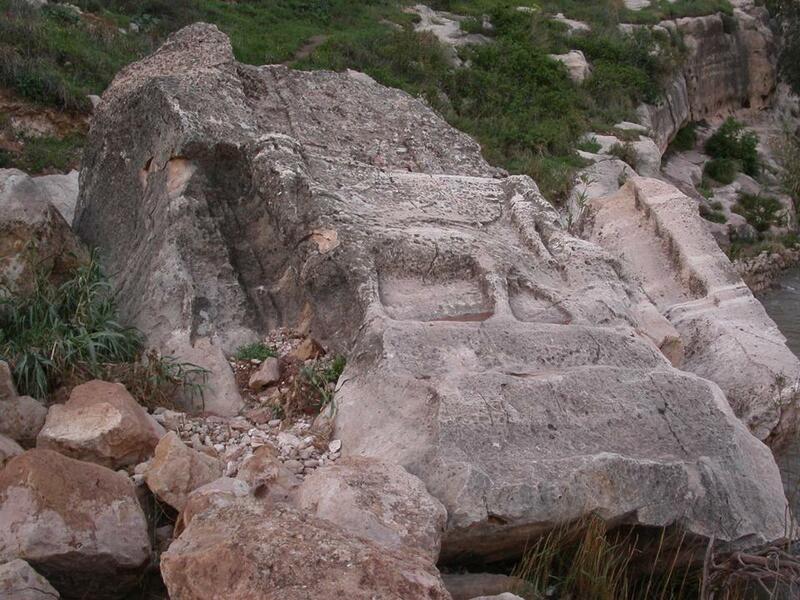 In the distance, an ancient Assyrian relief (minus the bottom half) graces a rocky cliff. The site of Khinnis illustrates the rich and continuous Assyrian presence in North Iraq. ©Assyrian Academic Society, April 2006. The remains of cuneiform inscriptions desecrated by massive bullet holes. This photo illustrates the rampant disdain Kurdish authorities have shown for Khinnis and indeed all Assyrian heritage sites. ©Assyrian Academic Society, April 2006. The United Nations Educational, Scientific and Cultural Organization (UNESCO) adopted the Convention Concerning the Protection of the World Cultural and Natural Heritage on November 16th 1972, to ensure the protection and preservation of endangered natural and cultural world heritage sites. Iraq joined UNESCO on October 21st 1948 and ratified the Convention on March 5th 1974. Article 1 of the Convention defines cultural heritage as “architectural works, works of monumental sculpture and painting, elements or structures of an archeological nature, inscriptions, cave dwellings and combinations of features, which are of outstanding universal value from the point of view of history, art or science.”  Relentless attempts have been made by previous Iraqi governments to eradicate the indigenous Assyrians from the Iraqi political, cultural and social fabric by stripping away their fundamental human rights. Such examples include but are not limited to, King Faisal II’s notorious Simele Massacre in 1933 where 6000  innocent Assyrian civilians perished and also under Saddam’s Baath Regime and Arabization policies which deprived Assyrians of their basic human rights for over three decades. Sadly, history is repeating itself with the rise of a new dictatorship in Northern Iraq which is instituting similar, if not identical policies to Saddam’s Baath regime under the auspices of the KRG. In addition to UNESCO’s Convention Concerning the Protection of World Cultural and Natural Heritage, Iraq is also a ratifying signatory to the International Labour Organization’s Indigenous and Tribal Populations Convention C107 adopted in 1957. Iraq became a member on July 16th 1986  and as such, is a binding state to the Convention’s measures in protecting the social, economic, and cultural rights of indigenous peoples as demarcated in Article 3. The “Kurdistan” Regional Government under the auspices of the warlord Massoud Barazani of the Kurdistan Democratic Party (KRG) is currently exercising cultural genocide against indigenous Assyrians residing in part of the heartland of ancient Assyria, today’s Northern Iraq. The destruction of Assyrian cultural heritage sites and artifacts, many dating back to the first and second millennia B.C. has become one of the many mechanisms used to expunge Assyrians from their ancestral homeland. The tactics of the KRG are rooted in their attempts at creating a homogeneous ‘Kurdish’ Northern Iraq, all in the process of establishing an independent “Kurdistan”. Call Today for a FREE consultation to educate & instruct you on the choices of accounting methods available to you & permissible by law. 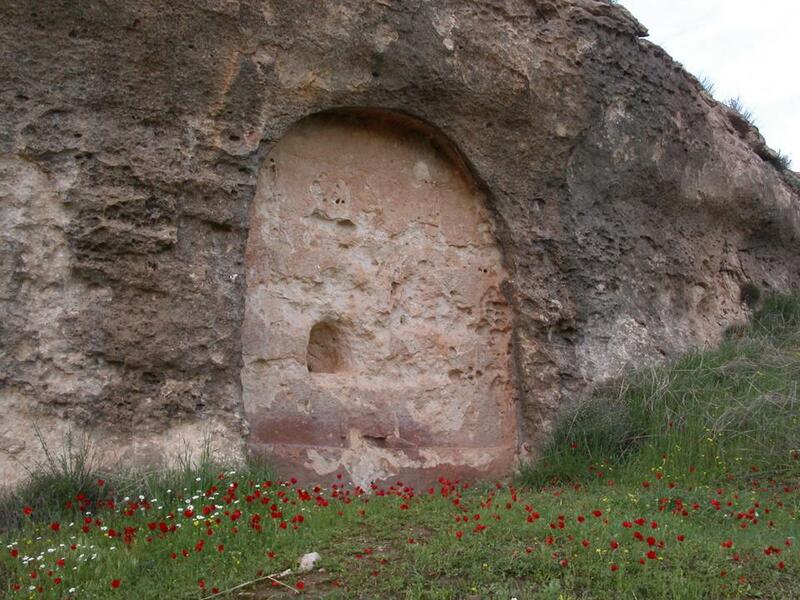 We are appealing to the Iraqi State Board of Antiquities and Heritage (SBAH) to take immediate action by implementing the proper and necessary measures for the protection of ancient Assyrian cultural and historic heritage sites such as the Khinnis site. Such measures must be instituted throughout Iraq and especially in the Northern region where many ancient Assyrian capitals once flourished such as Aššur and Nineveh, as it houses some of the most exquisite artifacts of Assyrian history. The newly formed government of Iraq must, in coordination with the Iraqi State Board of Antiquities and Heritage (SBAH), take all the necessary action in accordance with national and international law to protect Iraq’s cultural and historical heritage sites. As a signatory to a multitude of Conventions, Iraq must comply with international legal standards for the protection of ancient artifacts as they remain a fundamental component of Iraq’s history and more importantly, are an emblem of continuation and indigeneity for the Assyrians of Iraq . Deblauwe, Francis. 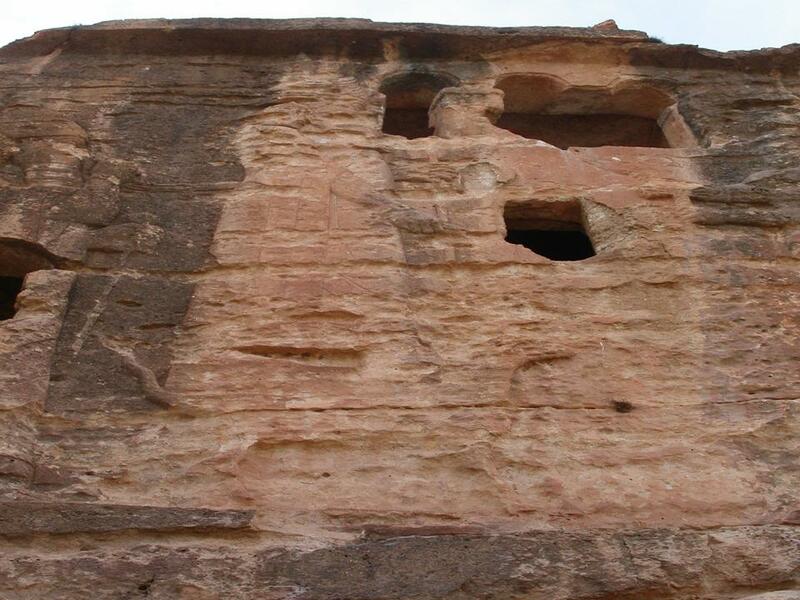 The State of Preservation of the Neo-Assyrian Reliefs at Khinnis/Bavian. Iraq War and Archeology, Document 9. May 14th 2006: click here . UNESCO, Convention Concerning the Protection of the World Cultural and Natural Heritage: click here . Burchard Brentjes, The Armenians, Assyrians &Kurds: Three Nations, One Fate? (Campbell, CA: Rishi Publications, 1997) 64-65.
International Labour Organization, C107 Indigenous and Tribal Populations Convention, 1957: click here . UN Economic and Social Council, Prevention of Discrimination and Protection of Minorities. Report of the Working Group on Minorities on its Eleventh Session at the 75th Session of the Commission on Human Rights. July 8th 2005: click here . (ZNDA: Baghdede) On 1 July, a group of Kurdistan Democratic Party (KDP) peshmerga (party militia) seized control of the main petrol station in Hamdaniya (Baghdede) reserved originally for public use. The local police interfered, resulting in a clash in which two police officers were injured. The public was frightened, the station was closed, and the sale of petrol was stopped. According to similar reports from north Iraq such attacks, assaults, and seizures have become common recurrences as the KDP militia has become increasingly hostile toward the Christian-dominated areas of north Iraq. Two Assyrian residents of the town Bartella last month, while waiting to receive their share of gas at a gas station, were killed in such clashes involving the KDP militia. Attacks against Assyrian Christian civilians (also known as Syriacs and Chaldeans) residing in the Nineveh Plain, north Iraq, have recently escalated at the hands of local Iraqi police as well as Kurdistan Democratic Party (KDP) paramilitary security squads. On June 30, 2006 three Iraqi Police loyal to the KDP Police Chief in the Hamdaniya District of the Nineveh governorate began assaulting civilian passers by with anti-Christian and racist slurs. The policemen had just come off duty but were still carrying their automatic weapons. As the Iraqi police continued their tirade against Christians in the overwhelmingly Assyrian Christian town, Steven Basim, a young man, left his car to plead with the police to refrain from their insults and threats. The police officers approached the man and one immediately started to strike him squarely on the side of his head with his weapon. As the young man fell to the ground bleeding, the other two policemen then also joined in the beating. Two other Assyrian men attempted to intervene and were also beaten. As a group of onlookers began to approach and question the police regarding the slurs and beating, the police began firing into the crowd. Fearing they could not control the angry crowd, the police called for reinforcements. Increasingly, especially over the past week, Kurdish forces as well as Iraqi police have begun a policy of harassment and intimidation of local civilians. Referring to the Arab and KDP police, one local Assyrian noted "they share one thing in common: they don't live here. They don't belong here." Another bitterly complained that "they don't come to provide security; they come to terrorize Christians and extract profits from the area for their personal gains." The role of non-local police in aggravating sectarian tensions rather than providing security played out on July 1 when KDP paramilitaries attempted to wrest control of the Central fuel distribution center for the Hamdaniya District of Nineveh. The armed KDP group was met by resistance from the Iraqi Police whom themselves had monopolized control of the distribution center and were, likewise, nonresidents of the Nineveh Plain. A fight ensued and, after additional KDP militants were called in, two police were wounded. The conflict has left the Gasoline distribution center closed, thereby depriving tens of thousands of locals of badly needed fuel for transportation and electricity generation. Local Assyrians have bitterly complained that both the Police as well as the KDP were simply opportunists attempting to control the lucrative fuel black market. Gas stations have come under the control of armed groups tied to the police or KDP who regularly siphon off a portion of gasoline. The conflict over which non local group controls the gasoline black market has left local residents particularly vulnerable at a time when electricity has dropped from an average 12 hours per day to 2 hours per day during one of the hottest months of the year. Gasoline is critical for the running of generators. Residents have also complained about the lack of real security provided by the KDP occupying forces. On June 25, a suicide bomber detonated a truck packed with explosives in front of the minority Shabak headquarters of the Supreme Council for the Islamic Revolution in Iraq (SCIRI) killing two people and injuring thirteen. Assyrian Christians and other minorities from the Nineveh Plain such as Shabak and Yezidis point to recent violence as further evidence of the deliberate suffocation of their area by the KDP and the police force it increasingly controls. Assyrian Christians further believe that local administration and policing by residents of the Nineveh Plain is the only way to reverse an increasingly tense and intolerable security situation. From the KDP perspective, though, total control of security is essential to continued Assyrian Christian subjugation as well as the furthering of the KDP dream to annex the Nineveh Plain into a greater KDP occupied region. While the world continues to ignore the Kurdish campaign to destroy Assyrian identity in Iraq, killing at will and terrorizing students, women, and children, Assyrians in the Diaspora are doing what they can to track what the Kurds are doing to Assyrians. They, once victims of Ba’athist policies themselves, are now turning into those same oppressors to the Assyrian people. The media has taken to view the Kurds in northern Iraq as the “underdog success story”, portraying them as a once-persecuted people who found the will and courage to survive the previous vicious Arab dictatorship to come out strong and in a position to claim “Kurdistan” (Assyria) as their own sovereign territory, finally able to determine their own destiny. And it’s a lovely story. 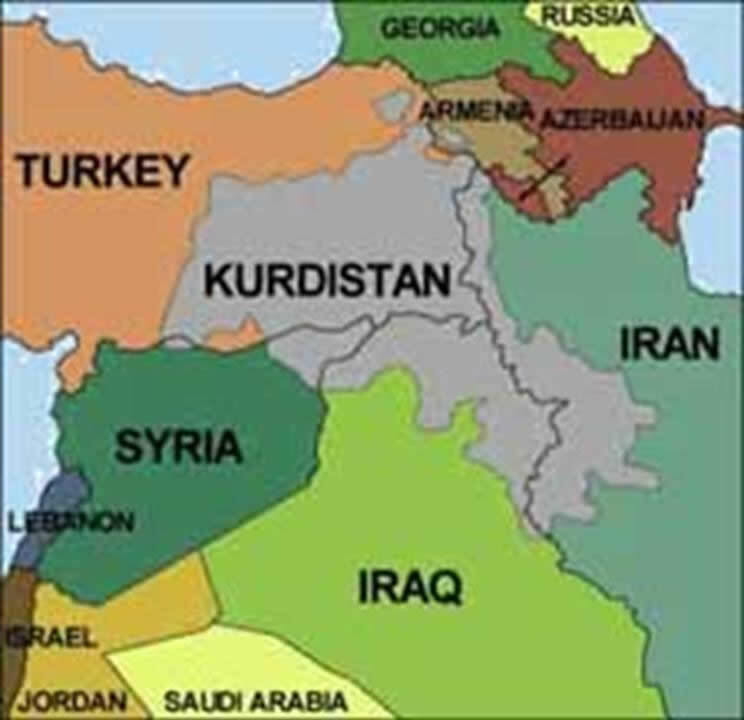 It is true that Kurds are the largest ethnic group in the world without their own country. It is true they have put themselves in a position for autonomy within the borders of Iraq. It is also true the KDP has adopted Ba’athist like policies toward not only Kurds, but also Assyrians who live within their reach – which apparently includes the Nineveh Plains, a mostly Assyrian area of the Nineveh province. 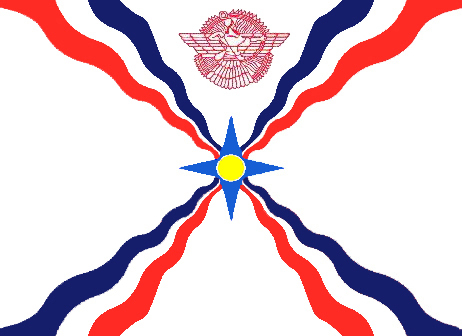 Through bullying, threats of physical violence, and encouraging all – including Assyrians – to join the KDP in order to participate economically, politically, and even socially in their daily lives – the KDP learned well from the previous Iraqi regime, and they are “doing unto others as they had done unto them”. The “arabization” of Kurds has turned into the “kurdification” of Assyrians. The slow but ultimate ethnic and actual genocide of the Assyrian people is being ignored for two main reasons, as I see it: First, there is a Kurdish propaganda campaign, being waged virtually on Kurdish “news” websites, promoting the “democratic” nature of the KRG, its favorable treatment of ethnic minorities, and the overwhelming investment opportunity in “Kurdistan”. Second, Iraq is so chaotic, and the Arabs are killing each other at such alarming rates, no one is noticing that an entire nation, the Assyrian people, is being wiped off the planet. The world’s first civilization, the world’s first Christians, and the people responsible for virtually EVERYTHING Arabs claimed was their own creation in the fields of science, philosophy, and math during the Islamic “Renaissance” – are being erased from earth. Their villages stolen. Their children kidnapped and killed. Students harassed and beaten. Women raped, kidnapped, and forced to marry Muslim men. The only thing, truly, that is comforting is the fact that an independent “Kurdistan” is impossible, and the thugs of the KDP and PUK are simply taking as much as they can get until the coalition forces leave, and Turkey, Iran, and Iraqis are free deal with the Kurdish separatists. While Israel investigates reports that Israeli defense contractors are training Kurds and providing them with technology and weapons – illegally – Turkey is beginning to step into the scene. Turkey currently wants two things: Membership in the EU and “Kurdistan” never to exist. Rhetoric coming from Ankara and Istanbul is clear – “Kurds had better watch their step”. Recently, under pressure from the EU authorities, Turkey has been “nicer” to their Christian Assyrian minorities, rethinking their property rights, citizenship rights, and even encouraging Assyrians to return to their ancestral homeland in (mostly) Southeastern Turkey. Of course, the reason most of the Assyrians fled Turkey is the Assyrian genocide of 1915, in which most of the population was wiped out, and those who survived were forced to walk to Iraq, Iran, and the former Soviet Union. Fighting between Kurds and Turks also always found Assyrians caught in the middle. Today, Turkey is closely watching the boundaries of Northern Iraq, making sure they stay intact and part of a greater Iraq. Why? Because they have seen this map! Turkey is one of America’s most strategic allies in the region. It is a NATO member. Two main oil pipelines run from Kirkuk through Turkey into the Ceyhan port – they also happen to run through Southeast Turkey, the main arena for PKK separatists. The U.S. is stuck, wanting to support the only “stable”, oil rich area of Iraq – the Kurdish occupied North – and making Turkey happy. But wanting membership in the EU does not preclude that Turkey cannot deal swiftly and firmly with terrorist groups – of which the PKK officially is in the country. Where does all this have to do with Assyrians? Well, again, we are in the “line of friction”, stuck between the Turks and Kurds again. Except that Turkey, while able and willing to deal with the Kurdish PKK, has a huge disincentive to eliminate the Assyrians of the region, due to their horrific previous human rights record and desire to enter the EU. While the Kurds have free reign to do as they please to Assyrians – the Turks have decided where their priorities should lie – maintain Turkish and Iraq’s border integrity, and promote their diversity by inviting and protecting the Assyrians within their borders. What is unsure at this point is what Turkey will do once American and coalition forces leave Iraq. After all, they must feel some pressure from the Western (and now, Lebanese) oil companies that have invested in the Kurdish-occupied region. Since economics almost always is the reason behind modern-day conflicts, the question remains: will investment in “Kurdistan” ensure its survival post-U.S. and coalition pull-out? Or will politics and centuries old rivalries play out in the area, forcing Turkey’s hand at maintaining its border integrity and squashing the terrorist threat of the PKK? Ultimately, the Kurds will have to answer not only to Turkey with its future plans, but also to the central Iraqi government. If Iraq truly dissolves into civil war, they are not immune from the wrath of the Arab Iraqis. And neither are the Assyrians. Unless there is an active ally ensuring their survival. And in the Middle East – as the British once learned – Assyrians make the most trustworthy allies. (ZNDA: Wilmington) A woman who sparked a huge police operation after falsely claiming she had been kidnapped and sexually assaulted did so because she was angry with police. Ashika Kamini Kalpana, 26, unemployed, pleaded guilty in Wellington District Court in New Zealand last week to making a false complaint. Kalpana took off most of her clothing at the entrance to Otari-Wilton's Bush Reserve on May 15 and ran to Churchill Drive, where she screamed at passing cars. 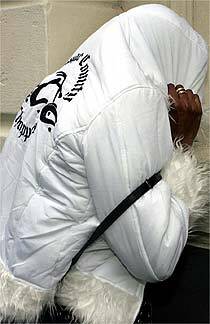 Members of the public stopped and called police. Kalpana pretended to be upset, crying and acting as if severely traumatised. She was taken to a medical centre and was examined by a specialist in sexual assault cases. However, Kalpana went back to police two days later and admitted the complaint was false. She said she had been unhappy with the lack of police response to unrelated complaints between her boyfriend and a group of Assyrian men. She felt angry and decided to invent a sexual complaint against the men. She had told police she was taken at knifepoint from Berhampore by two men in a car. She had identified both men of Assyrian descent who had had previous altercations with her boyfriend. She picked one out from photographs and made a 17-page statement. She claimed she had been threatened and during the car ride had been indecently assaulted. She tried to escape, running, but was caught, her clothes pulled off and she was assaulted again before managing to get away and get the attention of nearby drivers for help, she said. Kalpana will be sentenced on August 4. Thank you for well done job on Ms. Rosie Malek-Yonan's testimony. What a fantastic and brilliant report! We need more Assyrian women activist such as Rosie in these difficult times. We are so proud of her. She is one of a kind . God Bless Her and her Beloved mother. Assyrians of Eastern Massachusetts by Sargon Donabed and Ninos Donabed is a profound picture-book that provides a coherent insight into the lives of the Assyrians originating from the city of Harput in northern Bethnahrin (southeast Turkey) that immigrated to Eastern Massachusetts in the United States at the end of the 19th century and after the Assyrian Genocide in WWI. In this book we are invited to a journey in time and place, with perceptive comments on each photograph and depiction contained in the book, provide the context necessary for the understanding of the fate of these Assyrians who left behind them their beloved ancestral homeland to a country far away. They left their homeland because it was not possible for them to live there anymore. Being exposed to Genocide during WWI and many more atrocious massacres, there was only one way left to choose: immigration. The Assyrians from the city of Harput in northern Bethnahrin (southeast Turkey) settled mainly in eastern Massachusetts in the United States. The industrial cities of Boston, Lowell and Worcester became their new homes. To avoid assimilation and with deep consideration for the welfare of their community, these immigrants established a multitude of cultural, social, political and religious institutions. 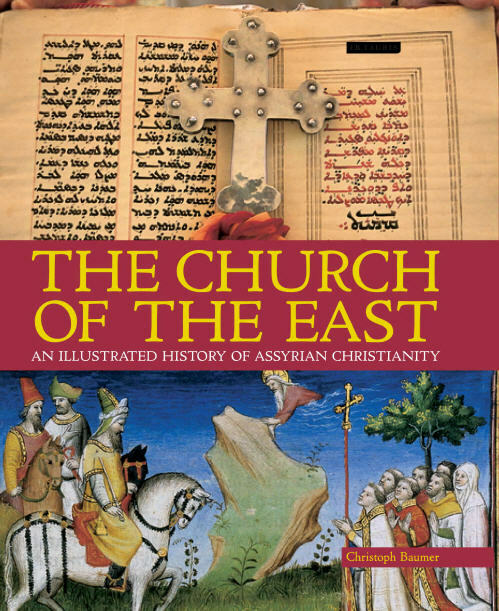 In the book we get a good insight into the different Assyrian institutions and private and business life. The oldest pictures are taken in the late 1890s and continue right up to our own generation. As stated in the book, many second and third generation Assyrians have assimilated into mainstream American society and have retained little, if any contact with their people and heritage. This is not in any manner typical to those living in North America but is also what is now occurring in countries like Sweden and Germany and other countries where Assyrians have immigrated and settled. Assimilation is with no doubt the biggest threat to our nation. When the Assyrian language is less spoken amongst ourselves and specifically Assyrian culture and traditions are not maintained and practiced as they should, serves as a warning to us all. Assyrians of Eastern Massachusetts is a most welcome contribution to written modern Assyrian history. Sargon and Ninos Donabed have done an excellent work. Footnote: Two errors have unfortunately slipped in to the book, pages 80-81. Patriarch Ignatius Afrem Barsum (being consecrated Patriarch in 1933 and passed away in 1957) was Patriarch and not Archbishop. 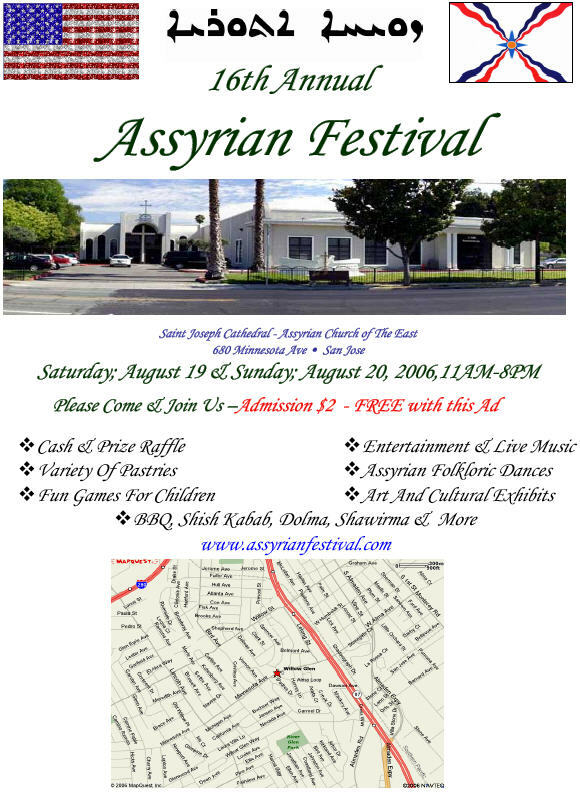 Members of the Assyrian Church of the East and the Assyrian youth in Canada have been called upon to attend on July 23 and 25, 2006 respectively mass and an enlightenment gatherings led by the defrocked bishop Ashor Soro. 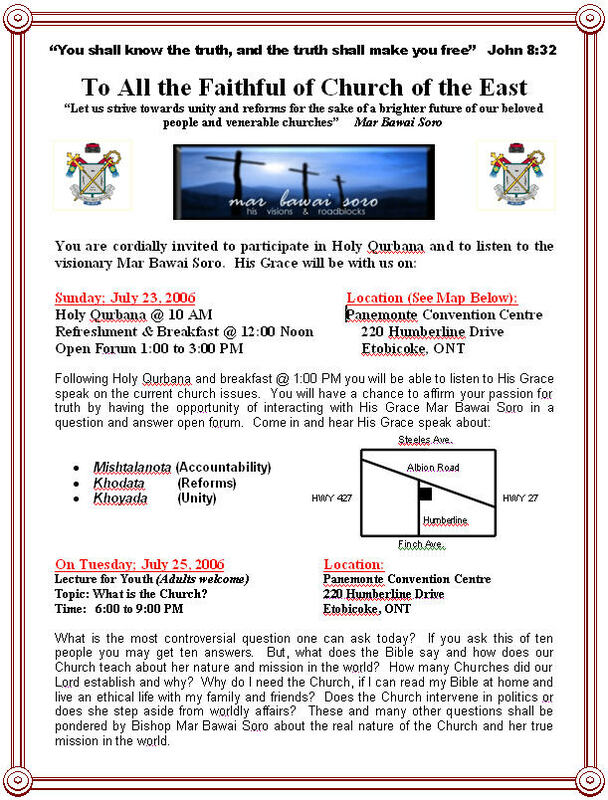 The two events, sponsored by a few disgruntled members of the church and for very obvious reasons enthusiastically spearheaded by a group of known non members in Toronto and elsewhere should come as a no surprise bearing in mind the close friendships the ex bishop had established during the years he spent in Toronto as a priest. Now the friends, for the good old time’s sake, seem to have obliged and have come to their ex bishop’s rescue with an ad replete with words and phrases borrowed from similar televangelist campaigns. How wrong and how destructive the support they are lending might prove to be is not something they seem to care too much about as long as their personal vendetta against what the Assyrian Church of the East stands for is being fulfilled through this old friend. In fact it surprises me that Toronto has not been thought of as the bastion of this visionary (this is what the friends are referring to the ex bishop in their current ad on Zinda) and the launching pad of his unholy crusade of demagogy and division in the name of unity. The ex bishop has blamed his demise on the church’s hierarchy starting with His Holiness Mar Dinkha. He has cited numerous shortcomings he accuses the church has been plagued with. Perhaps he could well be right about a few, but what about his own shortcomings? Were all the claims of mismanagement of the diocese he headed for decades mere false accusations? Was the interference of His Holiness to settle the numerous disputes between him and the parishioners of his diocese just coincidences of no significance? Were all the complaints and grievances lodged by diocese members mere lies and fabrications? To win his cause and to appeal to the hearts and souls of the church members as a good man of God, how hard could it have been for the bishop to admit to his own mistakes first before hurling accusations against the lay people and the church hierarchy? How difficult is it to admit that he too is of flesh and blood and quite prone to have committed blunders (I do not mean adultery) just as those he now accuses of having committed? Or is he too arrogant to truly believe that, like the Pope, he too is infallible. Of all the church’s bishops, ex bishop Soro has to admit that he had the best opportunities made available to him over the span of more than two decades. In fact in his days of glory he was considered by many as the golden boy of the church and the confidant of His Holiness Mar Dinkha. The church invested time and money to afford him the theological education he did not come equipped with when he was consecrated as a bishop so that one day he could utilize the acquired skills for the well being of his church. It seems that arrogance and self centrist attitude were developing in him at the same rate the new theological skills he was acquiring, culminating in the infamous condescending, rude and irresponsible language letters to the Patriarch. It has become obvious now that his plan was never the reform of the church but an attempt to topple (a la Middle Eastern method of changing leadership) the Patriarch having seriously fallen under the false impression that he will get the needed support of the people from the word go. Fortunately, and that is quite evident from the desperate tours he is now making of the major cities pleading for support, the response has been nothing but disappointing. In response to his accusations on how backward the church has been rendered under the leadership of Mar Dinkha, some simple lay person’s questions should be… Why did it take this ex bishop more than twenty years to reach such a conclusion? Could he cite one thwarted effort (by the Patriarch or others) on his part over these twenty plus years towards rejuvenating the church as well as ridding it of all its maladies? Weren’t he part (in fact the most important and most involved ) of the hierarchy and decision making elite? Is he now telling us that he was a mere cry in wilderness and his cries went unheeded? Instead of helping reform the church he claims he remains loyal to, he has opted to breach his vow of obedience by defying the head of the church and has embarked on this wild and unholy crusade only to fulfill his own personal ambition to assume leadership, any leadership and at any cost. On this crusade, the ex bishop will also tackle the issue of mixing politics and church. I personally, cannot resist the desire to attend this part of this (visionary’s) sermon. I am also curious to find out, who exactly is he going to accuse of meddling in politics. One thing is for certain, the ex bishop has attempted and has failed politically (simply to fulfill his own personal agenda) when he falsely upheld the compound name which Zowaa promotes to gain Zowaa’s support. With the noticeable decline in popularity due to its alleged partnership with the defrocked bishop, it is obvious that Zowaa’s best interests would not be served if this alleged association is maintained any longer. Zowaa should and must disavow him as well as clarify its stance in terms of the version of unity the ex bishop is promoting which most definitely runs counter to Zowaa’s political vision of the unity of our people. It was only last September when he took it upon himself to give the opening speech at the Assyrian convention in Chicago (meddling deep into the politics of the nation making) without even bothering to mention on whose behalf he was addressing that gathering and in what capacity. And if he thought those in attendance were naïve not to be able to read between the lines, the events few months later proved to many that this was nothing but a renegade cleric in the making. As far as the youth are concerned, the manner the ex bishop is pursuing this unity and other issues to appeal to them is surreal to say the least. It is a very serious matter considering the mixed message he will be conveying to the youth on July 25th regarding his vision of unity. The youth he will be targeting (if any would bother to show up)are not the blind followers he has gathered so far who are a mix of tribal affiliation, politically misinformed and outsiders who have found this golden opportunity to harm the body of our nation through its national church. The youth in Canada, like all Assyrian youth around the globe, are sick and tired of the mixed messages they have been getting from certain church leaders, this ex bishop being one of them, along with some politicians. The Assyrian youth love their nation and in the meantime treat their two Assyrian churches (the old and the new calendars) with much reverence and honor. They are intelligent enough to draw the distinction between a denominational Christian unity he is after and the national unity they so much aspire to see materialize. They are not interested to hear a defrocked cleric’s desperate plea for support to fulfill his personal goals and agenda to eventually found yet another denomination which will add to our nation’s current sad state of affairs. Toronto youth, unlike the children of old Hamlin, are mature enough not to fall prey to the tunes of the pied piper of our times. This statement which was printed on the front cover of an Assyrian Five Association’s pamphlet, in 1919 in America , manifested itself in a human form this weekend in London, UK, when the Assyrian community of London was graced by the presence of Prof. Ashur Yousif’s great grandson, Mr. Tigran Hovsepyan, who gave an emotional speech in the Assyrian Society of UK on Saturday the 24th of June 2006. Mr. Hovsepyan was invited by Firodil Institute to attend the event they, together with ASUK, and NGA had organised to commemorate Seyfo and honour the Rt. Hnr. Stephen Pound MP, and councilor Michael Elliot for their endless support for the plight of the Assyrians. The invitation of Mr. Hovsepyan was also aimed to discuss a possible plan for Firodil Institute to publish any documents in Mr. Hovsepyan’s possession with regards to his family’s history; which is interwoven with modern Assyrian history, considering his great grandfather’s role in the awakening of Assyrian patriotism. 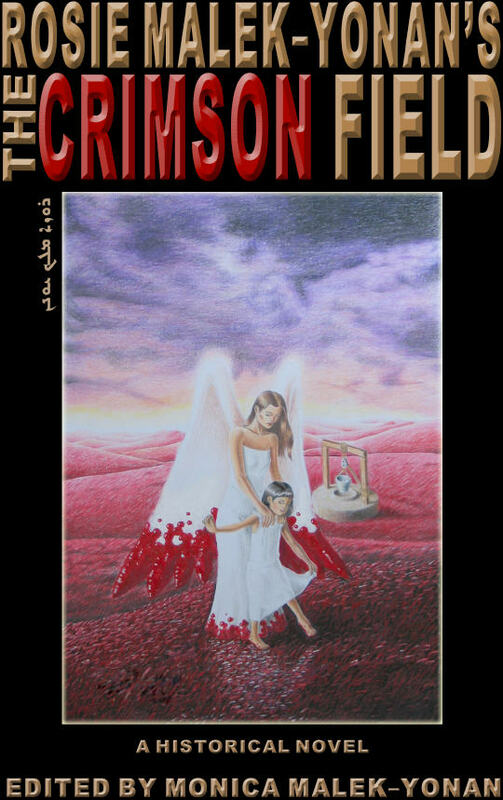 Smiles Amidst Bloodshed: a book written by Prof. Ashur Yousif’s daughter, Alice Nazarian and published in Lebanon. 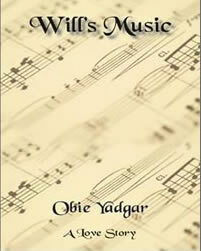 This book which is written in Armenian is an account of her family’s history and experience. An unpublished autobiography of Prof. Ashur Yousif’s son, Rasin, written in prison during the Stalinist era. This is also written in Armenian and sheds light on much which remains unknown not just regarding Prof. Ashur Yousif but also about the Assyrians of Harpoot and their new life in Armenia. What seems to be the entire collection of “Murshid Athuriyion”, a monthly Assyrian magazine published by Prof. Ashur Yousif from 1909 to the time of his death in 1915. We believe it is of pivotal importance that these documents are published and made available for the Assyrian public and Assyrianist scholars. It is precisely because Firodil Institute sees this importance that we have taken it upon ourselves to translate these documents into English and have them published as soon as possible. Firodil Institute has already taken this initiative and will publish the first two documents initially and then publish a selected series of the “Murshid Athuriyion”. We have opted to publish the selections of the magazine last due to the rigorous and cumbersome task of transliterating the Garshuni  and then have it translated from Osmanli Turkce (Old Turkish or more precisely Ottoman Turkish) into English. We would also like to announce that Firodil Institute is offering this momentous project for adoption. Interested individuals now have the opportunity to act patriotically and support this historical project by financially adopting either one of these books. If you are interested, and need to find out more about how you can adopt one of these three books please do not hesitate to contact us at info@firodil.co.uk. Since Prof. Ashur Yousif’s aspiration were to educate our people about their rich history and culture, Firodil Institute is also planning the initiation of a special “Prof. Ashur Yousif Educational Fund” but the details regarding this fund will have to be delayed until further steps have been taken to crystallise this idea. Assyrians of Eastern Massachusetts covers the immigration of predominantly Christian Assyrians to Massachusetts from the Ottoman Empire beginning at the end of the 19th century. These immigrants established a multitude of cultural, social, and political institutions to help promote the awareness of Assyria. 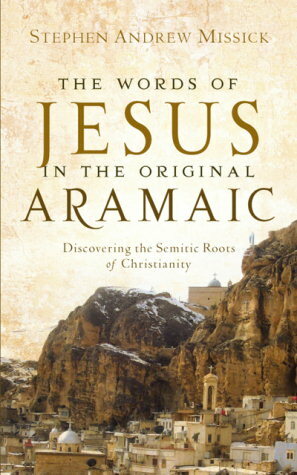 The book covers the establishment of St. Mary's Assyrian Apostolic Church, the first of its kind outside of the Middle East, which prompted the solidarity of Assyrians in Massachusetts and became a model for later settlements of Assyrians in the United States. Through family portraits and comment from both religious and secular institutions, Assyrians of Eastern Massachusetts addresses the adjustment off this community in the United States. Assyrians of Eastern Massachusetts was released May 22, 2006. The book is published by Arcadia Publishing and part of the Images of America series. Below you will find details as to the prices, discounts, contact information and shipping charges. Assyrians of Eastern Massachusetts will go on sale for a price of $19.99. However, direct purchases of multiple books from the authors will result in considerable savings for the buyer. *All prices above are in USD. *All prices, percentages and savings are approximated per book. Contact us at assyriansofma@gmail.com with orders and/or questions. We are proud to announce that registration is now open for this year's 73rd annual Assyrian American National Convention of the Assyrian American National Federation. 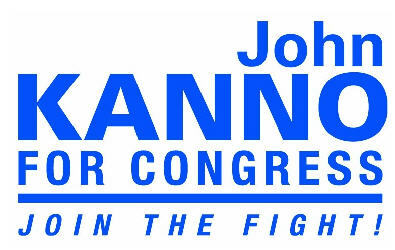 This year's convention will be held at the Renaissance Schaumburg Hotel & Convention Center in Schaumburg, Illinois from August 31, 2006 - September 4, 2006. This year t he registration process is even easer. Visit our convention web site (click here). Follow the on-screen instructions to complete your registration. Don't forget to visit our main web site (click here) frequently for the latest AANF news, and please feel free to contact us with your questions or comments at convention@aanf.org or call 773-539-8800. This program is designed to cultivate Assyrian National Pride by providing our youngsters a safe haven to learn about their Assyrian Heritage and make long lasting friendships with other Assyrian children. The activities will be supervised by professionals and volunteers. The program is designed to provide age appropriate learning and fun. The cost is $75 per child and will include all the activities, supplies, morning snack, lunch and afternoon snack. Families with more than one child will pay $50 for second child and above. 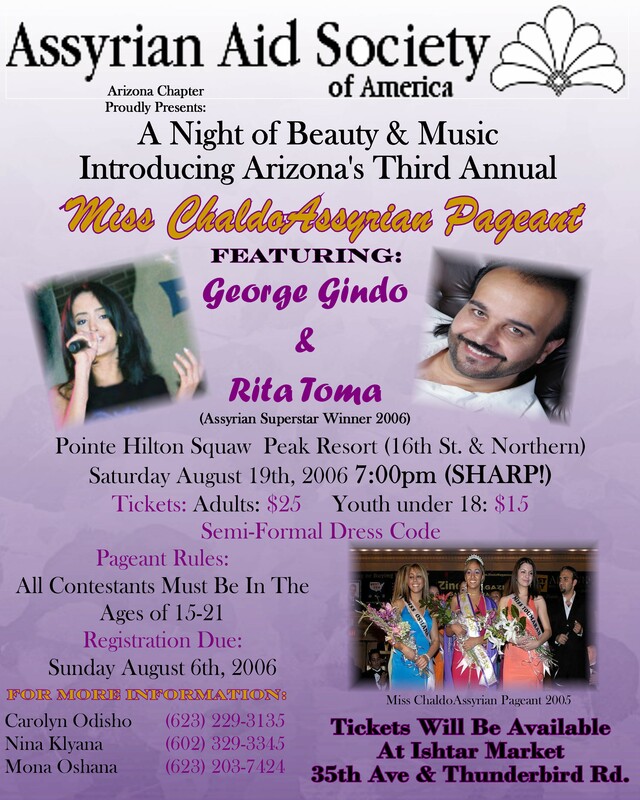 This program is sponsored by Assyrian Aid Society Central Valley Chapter and Assyrian American Association of Modesto. "Are you prepared to return to Turkey if the rights and the freedom of the Assyro-Chaldean community are guaranteed by the law? Yes or No!" "And if you were the Turkish Prime Minister, Mr Adlun, what decisions would you make in favour of your people?" 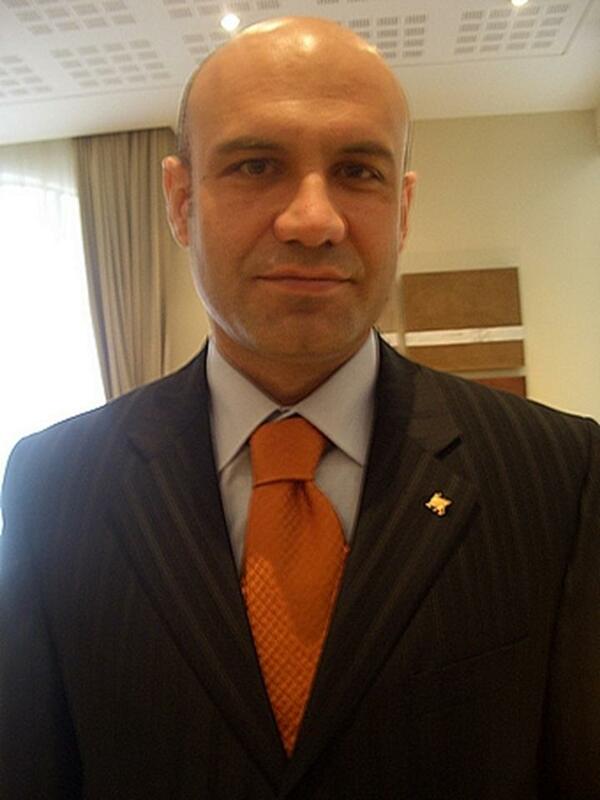 Turkish representative in France, Mr. Turhan ÇÖmez, seen here wearing the Assyrian winged-bull pin, met with the delegation from Assyro-Chaldean community in France on 19 May 2006. This is how the Turkish representative of Balikesir, Mr. Turhan Çömez, addressed Mr. Naman Adlun, president of the Assyro-Chaldeans Association of France who was accompanied by a delegation of four in Paris to discuss the demands of the Assyro-Chaldean community of France. Not long ago, the Assistant to the Turkish Representative in Paris contacted the Assyro-Chaldeans Association of France to schedule a meeting with the head of our community and to speak to us and learn about what we expected from Turkey. A meeting was organized on Friday, May 19th at 11:30 am, in the Hotel K + K in the 7th Parisian district where the Turkish Representative received our delegation led by Mr. Naman Adlun. The correspondent of the Turkish newspaper, Sabah, and the television channel NTV, Belkis Kiliçkaya, who questioned the Representative prior to the arrival of the delegation, was anxious to assist the meeting and to take some pictures and prepare a report on the Assyro-Chaldeans of France. The meeting began with the presentation of the book "Göçten Önce" (Before the Exile) by Father Aziz Yalap and the musical CD "Süryaniler" (Syriacs) to the Representative, by the president of the AACF in the name of the delegation. After the presentations, the Turkish representative talked about the object of the meeting. He asked the usual questions about our community in France: Who are you? How many are you? How long have you lived in France? Why did you come to France? The answers were not necessarily too appealing to him, because a typical Turkish explanation is that the Assyro-Chaldeans left Turkey for economic reasons. This was not the case. The real answer seems to have raised a problem: the reality of the pressures from the Kurds, the indifference of the Turkish authorities, the political chaos of the 1980s, etc. And then, suddenly, a surprising question left the delegation speechless: "And if you were the Turkish Prime Minister, Mr Adlun, what decisions would you make in favour of your people?" The question was not left unanswered for too long . Naman Adlun, by reminding the Turkish Representative that Assyro-Chaldeans are not the enemies of the Turks, explained that he would take the necessary capacities for the recognition of the Assyro-Chaldean identity and the respect for the rights of the community which is not a danger to Turkey, rather a wealth. He explained that these are a people who have for thousands of years only tried to protect their identity, without making any territorial claims. He said: "Our homeland misses us; why could we not spend our holidays on our ancestral land instead of Spain, Italy or Morocco?" "You are right," answered at once Turhan Çömez, "these lands do not belong to one people in particular. You were there long before any of us. And it is your natural right to live there. What would you say if I provided you with the lands, in the region of your choice, and if I built you very beautiful homes there? You could return to your country, as you wish!". "Why not?" replied Mr Adlun. "But the Assyro-Chaldeans' cultural, religious, linguistic and historic liberties must be respected and guaranteed. Churches must be built. Opportunities must be organized to guarantee their peace of mind". These remarks did not seem to shock the Turkish representative, who recognized the importance of respecting and proposed to the whole delegation if his region, very touristy, could be the ideal place for the construction of the flats for the Assyro-Chaldeans. Very seriously, he promised to speak about this issue to the Prime Minister upon his return to Turkey and asked the president of the AACF about the number of families who would be interested in returning to Turkey and under what conditions. Additionally the issues of holding double citizenship and the return of the youth to Turkey during holidays or for business, without concern for military service were raised. The representative promised to discuss these issues so that the Assyro-Chaldean youth could settle their cases regarding the military service with the general consulate in Paris. Regrettably, the very complex question of the recognition of the Genocide was not approached. Nevertheless, it is an essential question which will be necessary to discuss with the Turkish authorities, sooner or later, and cannot be evaded. The Turkish representative, Turhan Çömez left us after a photo opportunity session. By leaving the delegation, he had affixed to the collar of his jacket, a pin representing the winged bull, the symbol of power, intelligence and dominion. Before I took up journalism as a career, I used to often complain to my fellow Assyrians about how our community was under-represented in and ignored by local, regional and international media. The news stories and articles that appeared in Syrian government newspapers such as Tishrin were about ancient “Arab” Assyrians, while international newspapers and news agencies reported on the recent findings of excavations that told stories about the glorious ancient Assyrians. Few media outlets tackled current Assyrian issues despite horrendous atrocities they have suffered from throughout history. My experience with the Associated Press started in 2001. And the first bylined article I wrote for the AP came on April 1st, 2002, when I reported about the Assyrian New Year celebrations in Syria. To my knowledge, it was the first article on Syrian Assyrians and their political aspirations in Syria that was published by an international news agency such as the AP. After publishing the article and a dozen photos featuring the event, suddenly several Arab and international media offices in Damascus expressed to me their interest in covering upcoming Assyrian New Year festivals. And despite presenting the festival as “Spring Celebrations,” the Syrian official TV aired long clips of footage about the rituals and traditions of the day. However, the London-based al-Hayat and al-Sharq al-Awsat and the Lebanese al-Nahar and al-Safir newspapers picked up the article and photos, showing the real face of the Assyrian festival to their Arab readers. Syrian government doesn't’t recognize ethnic groups, and its press is banned from reporting on minority issues. Since seizing power, the ruling Baath party has followed a policy of Arbizing all Syrian ethnic minorities although they enjoy the freedom of worship. The suppression of Assyrian issues to reach international media outlets seems to be grounded in history. A ProQuest search of major American newspaper archives from 1851 to 2003 for the word, “Assyrian,” produced only 8304 hits, 75 percent of which were news relating to relics and excavations. To take Kurds, who have coexisted with Assyrians in neighboring areas in Iraq, Turkey, Iran and Syria for centuries, as a parameter to gauge media coverage of Assyrians, the word, “Kurd,” retrieved about 19638 hits. We have to take in mind that Kurds lack historical records before 11th century as historians agree that they have lived a nomadic life until the Ottomans started settling them in northern Mesopotamia, the land between the two rivers. For a limited period only & only for readers from U.S. The small number of the archived stories is an evidence of the successive Middle East governments’ success in suppressing news about their atrocities against the Assyrian people, who – through slaughtering them and driving them out of their homelands – have been reduced to a minority of 1 million people in their home country, Iraq. Salim Mattar says in his Arabic-language book The Wounded Lion that Assyrians represented about 60 percent of the Iraqi population at the end of the Abassid Caliphate in the thirteenth century. The Iraqi Shiite writer, Mattar says that Iraq’s population was estimated at about 11 million people. The Assyrians once dominated the Middle East. In the 7th century B.C., their empire stretched from today’s Iraq through southern Turkey to the Mediterranean. They were among the first converts to Christianity and are divided into several churches, including the Catholic Chaldean, the Syriac Orthodox and Catholic and the Church of the East. More recent number of Assyrians in the region came from Ottoman records. Yusuf Malek, a Chaldean-Assyrian writer, says in his book The British Betrayal of Assyrians that Assyrians of Mesopotamia numbered about 1 million people, Kurds were estimated at 1.2 million and Iraq’s Arabs were barely 2 million people the year before the World War I. Now the number of Assyrians in Iraq remains the same a century after that Ottoman census. Kurds number about 3.5 million and the rest of Iraq’s 25 million people are Shiite and Sunni Arabs, Turkumen, Yezidis and Shabak. The huge pressures, both ethnic and religious, on Assyrians explain why this Christian minority’s expatriates now outnumber those at home. And Despite that the Assyrians have been oppressed by rulers in the distant and near past, Assyrian issues have been barely reported in American major newspapers. Time and again, Assyrians had to flee to neighboring countries and to places as remote as Australia, New Zealand, Europe and the United States or face both religious and ethnic pressure at times of tyranny and unrest in their homelands. In October 2005, the United Nations High Commission for Refugees reported from its Damascus office that approximately 250,000 Christians have been driven out of Iraq by the factional violence since Saddam Hussein was toppled in March 2003. According to a UNHCR report, Christians make up about half of the Iraqi refugees in neighboring Syria. The report was only picked up by Agence France Press and by a few Arabic-language media outlets, such as the well-known Elaph web site, www.elaph.com. No major American newspaper reported the recent displacement of Chaldean-Assyrians. Lexis-Nexis and Factive search for the words Assyrian and UNHCR retrieved no hits. A Google news search for the word, “Assyrian,” retrieved only 221 hits in the period between April 1 to May 6, 2006, while the word, “Kurd,” had 12,500 hits in the same period. It’s also noticeable that about 60 percent of the “Assyrian” hits were news relating to archeological findings and looting. The media coverage ratios of Assyrians to Kurds show how international media and political agencies are pushing Assyrian issues into oblivion given that Assyrians are Iraq’s third largest ethnic group. The recent Christian exodus is the largest since 1914, when the Ottomans slaughtered about 1.5 million Armenians, 750,000 Assyrians and 350,000 Pontiac Greeks and drove hundreds of thousands of Christians out of their homelands. Although American public has known Assyrians through the bible and through the missionaries in Assyrian areas since the 17th century, the atrocities of the 1914-1918 perpetrated by Ottoman Turks were not enough to attract the attention of major American newspapers. A ProQuest search for “Assyrian” between Jan. 1, 1913 to Jan. 1, 1920 produced only 478 articles in newspapers, such as the New York Times, the Washington Post, the Chicago Tribune and the Boston Globe, while at the same time the search for the word, “Armenian,” produced 5755 ProQuest hits. The word “Kurd” had 1628 hits. One might attribute this insignificant presence of Assyrians in American newspapers to the lack of American readership interested in Assyrian issues or to the small size of the Assyrian community in the United States. But American Assyrians have always outnumbered Kurds in the U.S. a great deal. Today, Assyrian Americans are estimated at 450,000 people, while Kurds in the U.S. are no more than 15,000 people. However, it seems that an incident in which an American mission protecting Assyrians in Persia received a considerable attention. The Washington Post’s correspondent William T. Ellis, reported on July 15, 1919, from Constantinople (today Istanbul) on Turks’ and Kurds’ attacks against the American Presbyterian mission in Urmia, a western town in Iran. Those massacres would not halt until 1924, four years after the British and other European powers broke down the vast Ottoman Empire into states under their mandates. Iraq and the Assyrians fell under the British mandate in 1920. Religious and ethnic tensions in the predominantly Muslim region continued for decades. In August 1933, months after Iraq gained independence from Britain, the massacre of 3,000 Chaldean-Assyrians at the hands of the then-Iraqi government in Simile, a small Assyrian town near Mosul, prompted the displacement of about 34,000 of them. The Iraqi government newspapers suddenly raised Assyrians to media prominence. They published about 382 articles calling on Iraqi Arabs and Kurds to wage Jihad – or holy war – against Christian Assyrians during the month leading up to the August massacre. If the Iraqi drive to massacre their fellow Assyrians leaked into international media, the massacre might have not happened. But international media attention took the massacre itself, and the Chaldean-Assyrian problem was referred to the League of Nations. Hundreds of articles tackling the massacre and its repercussions on Assyrians were published in the then-major British newspapers, according to Malek. The issue has also gained the American newspapers’ attention. A ProQuest search from 1933-1935 for “Assyrian” retrieved 261 hits, with many commenting or reporting on the massacre. During the same period of time, ProQuest search for “Kurd” retrieved only 244 hits. The majority of the “Assyrian” hits covered the massacre. The AP followed up from Baghdad. “Baghdad cheers as troops return from war on Assyrians” was its Aug. 26, 1933 story headline on the massacre. In the years that followed the massacre, articles on Assyrians would only be about the achievements of their ancient forefathers although major events have never stopped to happen in the Middle East. Arabic-language newspapers ignored – as they still do – their issues as a way to avoid blaming their governments for the dwindling numbers of Chaldean-Assyrians. Not even the 1991 first Gulf War could drag some attention to this ancient minority. A Lexis-Nexis search for the word “Assyrians” from 1990 to 1993 retrieved only 53 hits, while the same search for the word “Kurd” retrieved 1255. In Syria, since the Baath Party took power in 1963, the Syrian authorities have tried to subdue non-Arab minorities, especially Assyrians and Kurds, through the notorious policy of Arabizing even the stones under the surface of the ground. Our parents were not allowed to have Assyrian names for their children until early 1970s. But the darkest days of Syria’s minorities and opposition parties, in general, came after Hafez Assad seized power in 1970. All political parties, including minority ones, went underground. And prison was the fate of whoever opposed the regime, while media censorship grew tighter and tighter. Fear prevailed all over the country especially in mid and late 1980s. 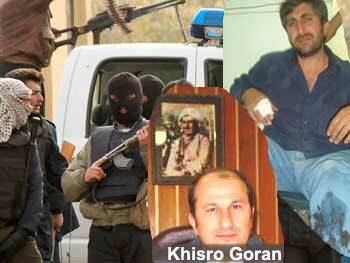 In 1986, the 22 members of the Assyrian Democratic Organization’s (ADO) leadership were arrested in Syria. Nothing appeared in newspapers or in any media outlets about the arrests, apparently, because the regime had control over even the Syrian correspondents of foreign media in Damascus. Three leaders of the same organization were arrested in 1990s for raising funds to provide clean water for 36 Assyrian villages, which had been deprived of the waters of Khabour River in northeastern Syria after building a dam on it. It was so clear that the dam was meant to take the water from those poor Assyrian villagers to Arabs living as far as a hundred kilometers from the water sources. Once again, not a single article appeared in major newspapers despite the fact that Assyrians in the Diaspora could have turned this particular issue into a cause that world public opinion could not ignore. The water problem led to another wave of immigration from those villages to the nearby city of Hasaka and to the West. Nowadays, the farms are being sold very cheaply and some villages have been almost totally emptied. After the death of Hafez Assad in June 2000, a new era in Syria’s political life was emerging. Apparently, the heir of the presidency, Bashar Assad, Hafez’s son, has shown his willingness to change the image of Baath legacy in repressing Syrians since he assumed office a month after his father’s death. He has marketed himself as an open-minded Baathist who might recognize his political rivals and tolerate dissent. As a sign of openness, Assad has ordered the release of hundreds of political prisoners and has issued hundreds of laws aiming at liberalizing the country’s socialist-style economic system. In that atmosphere, political discussion salons spread like mushrooms all over the country. Syrian intellectuals freely discussed issues ranging from corruption of the Baath rule to minority issues. Assyrians rarely attended such forums. Consequently, their issues were rarely present. Soon afterwards, Assad ordered the crackdown on those salons and political and human rights activists were arrested. The so-called “Damascus Spring” was put to a halt. But voices of change grew louder also, especially after the U.S.-led war that toppled the Iraqi dictator in March 2003. Since then, the region has witnessed unprecedented changes. Syrians, including Assyrians, grew more impatient with the totalitarian Baath rule than ever. For the first time in Syria’s Assyrian history, about 2000 of them took to the streets in October 2004 to protest the killing of two fellow Assyrians at the hands of two Arab brothers, who insulted their victims as “Christian dogs.” The demonstrators demanded for justice and law to prevail. The demonstration was widely covered by major foreign and Arab media, but not by local government newspapers or Radio and TV channels. Tens of Arabic-language newspapers ran the news on the Assyrian demonstration. Yet I couldn’t report on that important event in spite of my efforts to do so obviously because the manager of the AP office in Damascus was ordered by secret police to prevent any reports about the demonstration from being published in international newswires. However, I was able to help some foreign journalists, including a New York Times reporter, to write about this issue. Just a few months earlier, I wrote two reports for the AP telling the story of how the Syrian authorities prevented the ADO from celebrating its anniversary and marking the Assyrian Aug. 7 Martyr Day, on which Assyrians around the world commemorate the massacre of the 1933. The two reports prompted several foreign diplomatic missions in Damascus to reach out to the organization in order to know more about Assyrians in the country. Also after the Iraqi war, thousands of Iraqi Assyrians from different denominations were fleeing the violence in their country. 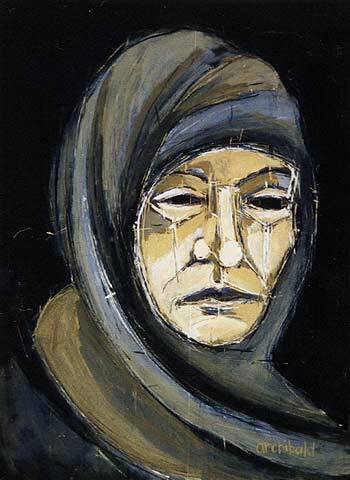 The exodus was most remarkable in the summer of 2004, the thing that led me to observe closely the life of the Iraqi Assyrian refugees in Damascus for months. I decided to write a report about the phenomenon for the AP and soon after being on AP’s newswires on Aug. 4, three days after the church bombings in Baghdad and Mosul, the report was picked up by as many as 12,000 newspapers around the globe. As a result, the issue was discussed by parliaments of several western countries, including Britain, Australia and the United States. And eventually, international media, including American, could sense that a real 21st century Assyrian problem was looming. A Lexis-Nexis search for “Assyrian” during August of 2004 retrieved 54 hits, while same search for the word “Kurd” had 135 hits. After media attention to Assyrian issues picked up Turkey’s Assyrians were in the media spotlight also. The Turkish Rajab Tayeb Urdogan’s government allowed them to celebrate the Assyrian New Year for the first time in their recent history. And the New York Times ran an article completely on Assyrians, after their reporter in Syria decided to accompany me more than a thousand kilometers to the southeastern Turkish town of Medyat to cover the festival. The article was run also by the International Herald Tribune, Houston Chronicle and other newspapers. The coverage that Turkey’s Assyrian New Year celebration received in diverse publications came late as Assyrian numbers plummeted to only 6,000 people from hundreds of thousands at the beginning of 20th century. But despite the media attention Assyrians have received lately, American publications are still reluctant to report major prejudices against them. In February 2005, for example, the English-language Assyrian International News Agency (AINA) reported that an Assyrian from Bartelleh, the overwhelmingly Syriac Orthodox town in northern Iraq, has been killed by KDP Kurdish militiamen who were trying to steal gasoline from a public fuel station there. This is a newsworthy incident in its own right, and there are signs that the crime was even ethnically-motivated. But how many newspapers, Iraqi or international, reported it? None. Surely, there are many journalists working in Iraq and elsewhere who are interested in human rights. But when such abuses are perpetrated against Iraqi Assyrians, why are they so rarely reported? The reason behind that is not to be blamed on foreign media outlets only. It can be also traced to the dearth of journalists among Chaldean-Assyrians. It partially explains why the murder of the Iraqi Assyrian was not reported by any major media means. Last year also, Assyrians’ protests and demonstrations against the Iraqi draft constitution which unfairly misrepresented them through splitting them into more than one ethnicity represent another shocking example of the lack of Assyrian reporters in Iraq. Prominent Assyrian journalists such as Nuri Kino and Jameel Rofael, of the Chaldean Church who has reported from Czech Republic for al-Hayat newspaper for years, have contributed to raising the awareness of the public opinion in their countries of residence about Assyrian causes. But two or three journalists around the entire world are too few to showcase a cause. Out of three million people, Assyrians have less than ten professional journalists around the world and no professional journalistic institution that is capable of addressing their own causes, despite the dozens of cases of repression Assyrians of the Middle East have been suffering at the hands of successive governments there. It’s worth noting that one of the earliest Middle East publications – if not the earliest – was Assyrian. The weekly Zahrira d Bara – or Ray of Light – started running from 1851 till 1914 in Urmia, Iran. The magazine certainly was the first publication in Iran. Yet the lack of journalists cannot explain the whole problem of media coverage of Assyrian issues. On Jan. 29, six churches were bombed in Baghdad and the northern city of Kirkuk after a Danish newspaper published cartoons ridiculing Islam’s Prophet Muhammad. A 13-year-old Assyrian and a Muslim couple were killed in the Kirkuk bombing. American major newspapers kept silent over the incident at a time when the Muslim world was raging with demonstrations and protests, burning flags and embassies of Denmark and other European countries. A Lexis-Nexis search for the words “Assyrian and Kirkuk and church bombing” yielded only two hits both run by the AP. Attacks on churches in Egypt, Pakistan and elsewhere by Muslim protesters were well covered, though. The little media attention the Kirkuk church bombings received can be ascribed to political reasons. Apparently, American media wanted to send a message to Islamic world that American presence in Iraq is not to support Assyrians, who are always seen by Muslims as supporters of the West. Also it can be a message that American wars against global terrorism are not a crusade against Islam. Certainly Assyrians have received some attention of American, Arabic and international media in the last three years since the U.S.-led war on Iraq. Yet they haven’t received their fair share of media coverage. Their problems continue to be important. Prejudices continue to be perpetrated against them. Their political power is too insignificant to force their fellow countrymen to recognize their unsolved problems, such as the villages from which they were evacuated by Kurds in northwest Iraq on the border with Turkey in the 1990s. Although the world has other horrendous humanitarian problems, such as that of Darfur in Sudan, Assyrians of the Middle East deserve to be heard, as well. Mr. Salim Abraham is completing his graduate studies in journalism at Columbia University in New York and writes for the Associated Press. Mr. Salim has previously written about the Assyrians in Syria and elsewhere for Zinda Magazine and consults this publication on reporting from that region. It was the first week of the ongoing war in Iraq, and the Assyrian Aid Society (Iraq) was begging for help. Wounded, starving and freezing villagers were caught in the middle of the bombing, the fighting, even the looting. The plea went out across the Internet to the society’s branches in Australia, New Zealand, the United States, to the far corners of the world. Within days, David Chibo remembers, the Australian branch collected $35,000. New Zealand came up with another $10,000. The United States, heartland of the Assyrian diaspora, sent $200,000. David Chibo at the British Museum standing before an Assyrian stela. If it was preventative medicine for Assyrians in Iraq, it was also a strong dose of feel-good medicine for the native Melburnian and his kind around the world. They are the Assyrians of the diaspora who have become linked to the land of their ancestors like never before – via the Internet. For a people with no country of their own, a people where two in three are believed to be scattered around the world, it was a moment of unity. It was proof that, in the 21st century, the Assyrians at least have, in a sense, a virtual nation. “Coordination along these lines was impossible before the Internet,” Mr Chibo says, relaxing at an Assyrian restaurant nestled amid the Middle Eastern eateries on the main strip of inner-suburban Brunswick. “The Internet has gathered Assyrians dispersed throughout the Western world and the Middle East. To say Mr Chibo is relaxing is to stretch the word to its limit. The burly Telstra engineer’s well-worn blue jeans and casual, long sleeved T-shirt belie an almost feverish intensity when it comes to his people. He leans forward far more than he leans back, and his eyes leap at the listener, much like his words. At age 33, it’s an intensity born of, already, a quarter of a century working out just where he comes from. It was his early school days when he first noticed his skin was a shade darker than his classmates’. Why, he wondered. Who am I? What’s my story? He set out to learn his history – not easy when he couldn’t even find Assyria on a map. What he found was a culture more than 5,000 years old that, at its height, covered parts of nine countries in today’s Middle East. Iraq was the ancestral home, specifically an area called the Assyrian Triangle, along the Tigris River. Most estimates suggest around a million Assyrians still live in Iraq, with possibly two million more spread around the world. The Assyrian language has bound them together, along with their religion – Assyrians were among the first to accept Christianity. He has applied himself, above all, to giving back to that culture. The year before the war, he spent four months in northern Iraq helping the Australia’s branch of the Aid Society do wide-ranging community work. 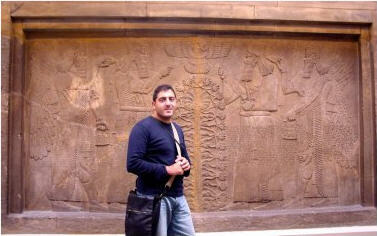 He is the Australian representative for Internet-based Zinda magazine, the premiere publication in the Assyrian world. He has attended conferences as an Australian community representative in both Iraq and the United States, where Chicago alone has more than 80,000 Assyrians. Mostly, he was putting faces to names, the names from cyberspace. They are the fellow activists from around the globe he converses with late into the night, debating the Assyrian world’s political and social issues on the online forum PalTalk. It’s there that the Assyrian news is dissected piece by piece. “Because of the Internet, it’s SBS Radio’s Assyrian program that is very famous out there, in places like Chicago, in Iraq,” Mr Chibo says. “They have radio programs in Chicago where they take (the SBS) interviews and broadcast them on their own programs, because, with the resources of SBS, they’re actually able to contact people throughout the world. Key Assyrian web sites, like Zinda, link to the program, too. It’s all part of the new flow of information and comment binding the world’s Assyrians. Mr Chibo jokes it is leading to a community starved for knowledge but drowning in information. Then more seriously he talks of a people becoming less parochial, more aware both at home and overseas. He talks of the Internet triggering a renaissance of the Assyrian culture, reviving a 3,000-year-old language from the brink of extinction. He talks of community leaders, be they politicians or priests, knowing they face scrutiny now. He talks of a culture of hiding things, of sweeping them under the rug, is being forced to change, with the community changing in turn. But unlike so many activist movements, none of the change is aimed at achieving an independent state. As Mr Chibo gazes around the empty, spacious restaurant surrounded in a blue-and-gold Middle Eastern décor, he struggles to put into words just what the goal is. “In the long run here,” he says finally. “I think we just want to better our people and our community, as well as provide a rich tapestry for all off Australian society. 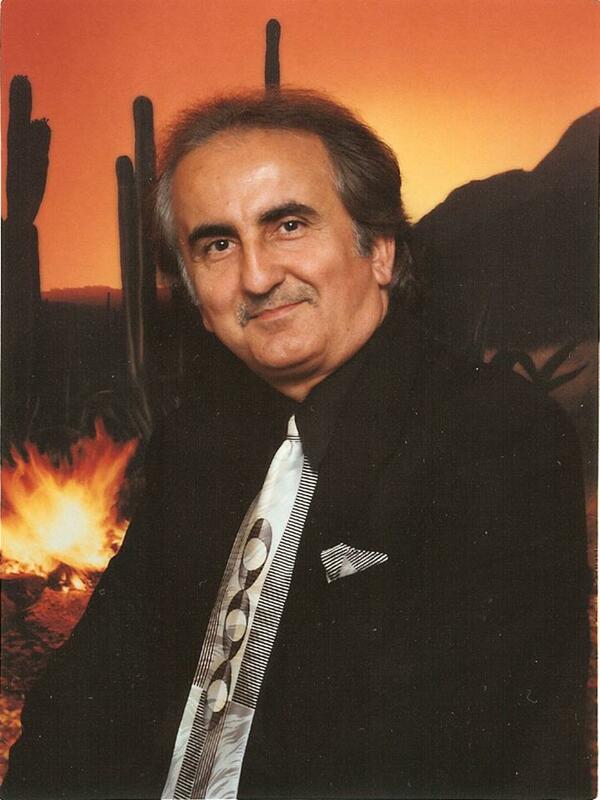 What sets Zinda Magazine apart from any other Assyrian, or for that matter Middle Eastern magazine, is that it allows its staff to apply themselves to investigative and opinionated writing which may or may not agree with the central views of the majority of its readers and often its editor(s). Mr. David Chibo's investigative reporting from Australia has in the past shaken the foundations of the most revered Assyrian political parties, organizations and churches. Likewise, every week Assyrians in Australia are also invited to hear Mr. Wilson Younan's piercing and relative questions on his weekly radio program on SBS Radio (click here). Only through this type of professional and edifying journalism the public is inspired to demand accountability from its civic, political, and religious leaders. (ZNDA: Baghdad) How do you get 15 layers of wedding cake with butter cream frosting through eight checkpoints and 45 minutes of snarled Baghdad traffic in 110 degree heat? Answer: Hire Nadia Habib, wedding planner extraordinaire. Ms. Habib, a 53-year-old Iraqi Christian with a strong sense of humor and a passion for weddings and cakes that can intimidate even her own clients, has worked through two wars — the current one is her third — and a decade of devastating economic sanctions. Despite Iraq's current suffering, daily life, however strange and stunted, still moves in many of its familiar rhythms. Couples meet. They fall in love. They plan weddings. 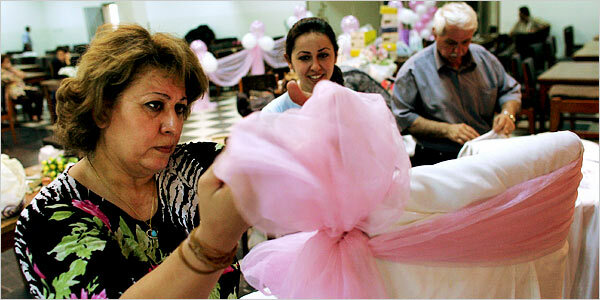 Nadia Habib, an Iraqi wedding planner, works with her daughter, Ansam, and husband, Hekmet Ayub. Photo by Scott Nelson/World Picture Network. "I tell you frankly, nothing has changed," Ms. Habib said, sitting in a large banquet hall in the Alwiya social club and thumbing through wedding albums with examples of elaborate cakes from past years. "When we get married, we still want everything to be perfect." Nothing has changed, but everything is different. Since the American invasion three years ago, Baghdad, home to a quarter of the country's population, has descended into a state of low-grade civil war. Populations are shifting as sectarian violence changes the face of once mixed neighborhoods. Body counts in the Baghdad morgue this spring have been the highest since the invasion. The city is now divided. Western neighborhoods have fallen to Sunni Arab insurgents. Parties are no longer possible there. In eastern neighborhoods, dominated by Shiite Islamists, singing and dancing are forbidden, so traditional wedding singers no longer take part in ceremonies. Weddings, difficult enough in times of peace, have emerged as little battles of their own. As the violence has increased, Iraqis have retreated inside their homes, and fewer couples are choosing to hold wedding parties in public places. Ms. Habib now sets up between two or three weddings a week, compared with five or six before the invasion. Garden settings are out, for fear of mortars and bombs. Guests are far fewer. In the past, guests often numbered 500. Now they are rarely more than 300. Weddings are now held during the day, so guests can return home in the safety of daylight, before curfew begins. Ms. Habib, flanked by her husband, Hekmet Ayub, a smiling 61-year-old who resembles a beardless Santa Claus, forges ahead fearlessly. Like an expert hockey goalie neatly deflecting or catching every puck, she skillfully accommodates, or adjusts, every one of her customers' desires. Flowers? Take fake. Real ones, all imported, are no longer affordable since the road from Jordan became dangerous. Gold ribbon? Beige is better, easier to buy in markets that are safe. Hand-designed invitations? Printers are scarce. Better to use a computer. "When they want something strange and complicated, they come to me," she said, in her melodic, accented, English. "I have done many strange things," she said, laughing. Strange began in the 1990's, after Iraq's war against Kuwait, when Iraqis, Christian and Muslim, began holding weddings in social clubs instead of their homes, to avoid the cost of putting on a huge spread. Weddings got showier, too. Ms. Habib once hid the bride and groom behind a curtain on a stage instead of marching them down the aisle. Wedding cake constructions had secret chambers that hid caged doves. Flaming swords became fashionable. Ms. Habib ticked off her baking triumphs: A tall cake made to look like a pile of presents. A church-and-village cake. A 10-foot tower of cake layers, each on pedestals, completely encircled by balloons that floated up when a string was snipped, revealing the cake inside. A rotating cake that stopped when the bride cut into it. But in the past three years, as bombs have smashed families, and secret killings, often sectarian, have changed entire neighborhoods, couples have developed a taste for short, simple celebrations. "They want classic style," she said, as Mr. Ayub and their helpers blew up gold balloons behind her. "They want to finish as soon as possible, to complete the party successfully."